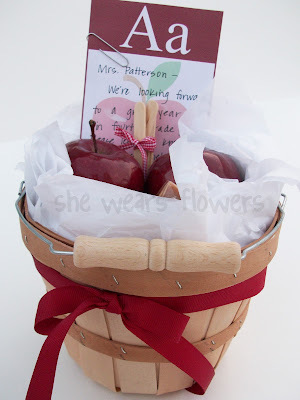 I know this is late for many of you, but you can always use this idea for a teacher appreciation gift, too. I just couldn't do it any earlier--I am in denial--and school doesn't begin until next week for us. I have loved having my older girls home this summer to help entertain my younger daughter. Each year, I send my children to school with a small gift for their teachers. I want the initial impression to be a good one and a small gift helps the teacher know right off that I am here and willing to support her/him any way I can. This is one of my favorite gifts to send in because it just looks like fall and back to school to me. Also, if you don't want to make caramel apples, you have several apples on hand, some candy that will save for anytime, and a basket that is good for something. In other words, one way or the other, the gift will probably be used! *I found bushel baskets at Hobby Lobby this year and bought the smallest size. It holds 5 apples perfectly. In the past, I have found these at the Dollar Store. Don't ask me why I didn't buy 17 or 18 of them when I saw them there! You can bet I checked about 10 times this year! I finally gave in and bought them at HL. 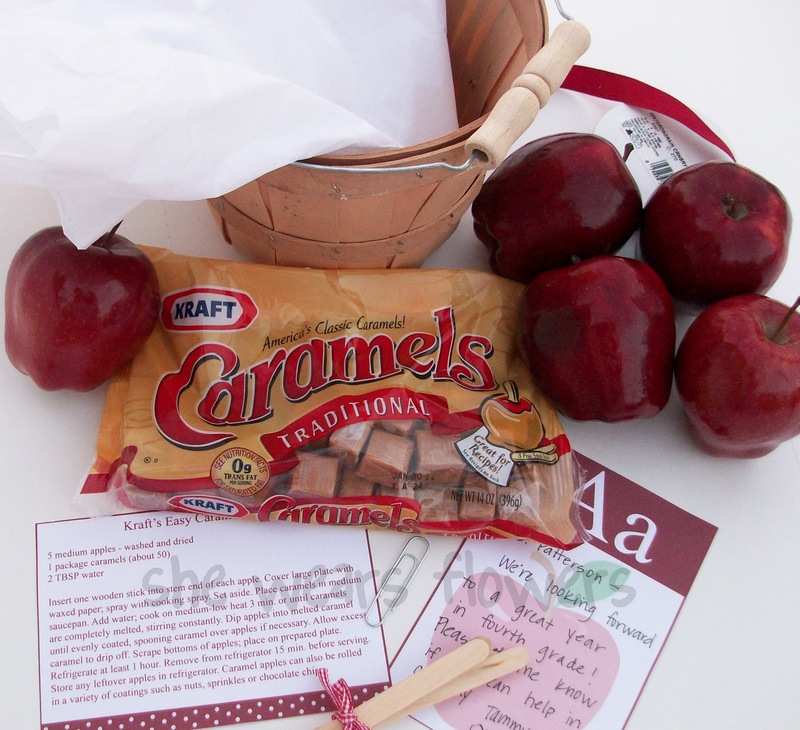 The card with a message to the teacher has a recipe for making caramel apples attached to the back. You can print those out together on white cardstock HERE. I clipped them together with a paperclip for that school-looking touch. My recipe came from the back of the package of Kraft caramels and can be found here if you want just the recipe. So simple, but sends a great message to the teacher. I'm linking to THESE link parties. It's really a lovely idea, the teacher will love it. Great idea! I don't have any little kiddies running around yet (just little kitties, haha! ), but this is a great idea for when we do have kids! What a great idea. I love that it's all in the basket. I'm sure any teacher could have a million uses for the basket. And I'm sure all the other teachers will be envious! I'm bookmarking this for next year when my son goes to kindergerten. A wonderful idea and a nice presentation! And so smart to start off the year on a giving note! Thanks so very much for stopping by Craft Schooling Sunday and sharing this, boy could i go for a caramel apple just about now......! That's such a great basket ... who wouldn't love to get that? OH!!! I LOVE it!!! Will be doing this for youngest son's preschool teacher! I love this!!!! Many of my best friends are teachers and I would have to say they would agree. Great idea!!!! I love your Carmel apple basket! I would have never thought of sending something on the first day. What a great idea. SO STINKIN CUTE! If the kids in my class gave me presents to start school they would be my favorite for the day. If I got that cute apple basket they would be my favorite for the year! GREAT idea Tam! You are so good! I'm doing well to send my son to school with everything he NEEDS, much less extras! Their teachers must love you! Thanks for sharing ... I love this idea. I've featured your link on this week's newsletter. As a high school teacher, I don't get the fun gifts like this! 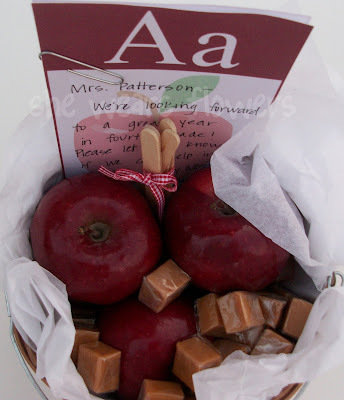 :( It looks fabulously delicious though, and I can/can't wait to send Addison's teachers fun gifts! CUTE! and fun to give the teacher something at the beginning of the year. Not just the end of year gifts we see all the time! 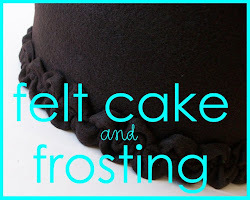 Thanks for linking up to Topsy Turvy Tuesday! I love this as a teacher and a mommy! Oh! I love that! The basket is so cute! And we love caramel apples. This is soooo cute! Thanks for sharing... I can't wait to make these for our teachers! I love this idea. WHat a cute mini apple basket to put it all in. 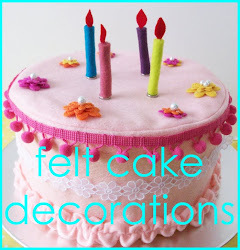 I love you monogramed circles and this idea is great too! 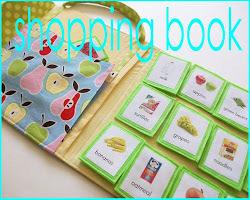 I'm hosting a Back to School Linky party tomorrow on my other blog: http://www.abcand123learning.com/ and I'd love for you to share these on it! Love this idea - so perfect for teachers! I think I'll use this for parent-teacher conferences in a few weeks. Thanks! 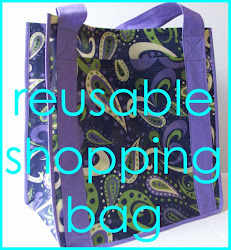 Didn't intend to leave you hanging - here's the link to my post about our back to school gift. what a great idea! you are so creative!!! thanks for sharing your ideas! This is PERFECT! Thanks for a great idea :)!